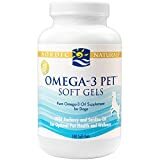 Omega-3 fatty acids are a very important supplement that every dog owner should consider adding to their furry companion’s diet, especially since dogs, nor humans, can produce them on their own. One has to resort to diet and supplementation to get beneficial Omega-3’s into the body. When it comes to our dog’s diet, it’s easy to get frustrated with all the do’s and dont’s involved. Commercial grain-based or canned foods do not always supply our pets with the essential nutrients that they need, usually containing mysterious ingredients, additives and unnecessary fillers. Veterinarians will recommend high quality foods, and some people will go to the extent of actually feeding their dogs a raw diet, according to their carnivorous nature. Such diet is called BARF (bones and raw food). Now, despite being carnivores, feeding our dogs a raw diet isn’t always the best option for them. Some pets have different dietary needs and sensitivities which is something every pet owner needs to consider carefully while planning out their dog’s diet and supplement program. Supplementing their diet with sources of Omega-3 fatty acids is more often than not, necessary. While fish oils, such as salmon oil, may be the first recommendation for pet owners, cod liver oil should not be dismissed. Cod liver oil is a great choice for older dogs, and dogs that need a boost in their EPA (eicosapentaenoic acid) and DHA (docosahexaenoic acid) content. It also can help your pet with their joints, skin, heart health, etc. 2.1 So, is cod liver oil good for dogs? 3.1 So, is cod liver oil safe for dogs? 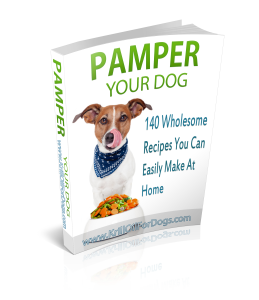 4 How to Use Cod Liver Oil for Your Dog. 5.0.1 Why should I feed my dog cod liver oil? 5.0.2 Are there any side effects to feeding my dog cod liver oil? 5.0.3 Can give my puppy cod liver oil? 5.0.4 Are cod liver oil supplements better than providing my dog real meat or fish? 5.0.5 How do I use cod liver oil for my dog? 5.0.6 Will cod liver oil make my dogs smell fishy? 5.0.7 Can I give my dog cod liver oil only during winter months? 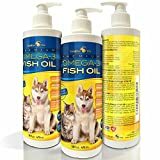 TerraMax Pro Liquid Omega-3 Fish Oil for Dogs and Cats, 16 Fl. Oz. Alleviates symptoms of arthritis, thanks to its anti-inflammatory properties. Allows more mobility in the joints. Improves the skin and the hair. So, is cod liver oil good for dogs? Cod liver oil can be good for dogs thanks to its beneficial properties and abundance in the Omega-3 fatty acids EPA and DHA. It’s commonly given to geriatric or elderly dogs that can benefit the most from cod liver oil. Pets on BARF diets will most likely not need cod liver oil, or will be fine with other fish oils. Pets with grain-based diets however, will benefit greatly from cod liver oil since it will provide missing nutrients and Omega-3’s that your pet needs. Pancreatitis due to vitamin A toxicity. Diarrhea, due to its laxative properties. Overdose of vitamin D that can lead to dehydration, nausea, weakness, loss of appetite, destruction of vitamin E and hypercalcemia (makes bones weak). So, is cod liver oil safe for dogs? The correct dosage and administration of cod liver oil should be safe for your dog. With proper guidance from your vet, and monitoring your dog’s responses, there should be no problem in supplementing with cod liver oil. 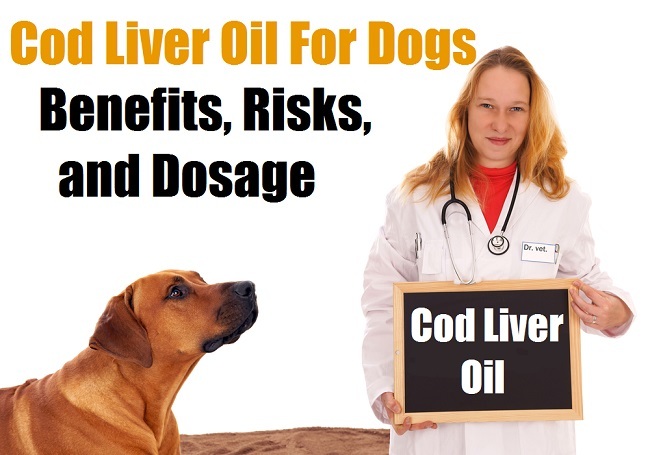 How to Use Cod Liver Oil for Your Dog. Despite concerns, cod liver oil will most likely be beneficial for your canine companion, keeping in mind that you must provide the proper dosage and follow your veterinarian’s guidelines. As a concerned pet owner, you should do your research beforehand. There are many resources, especially online forums where other pet owners detail their experiences with cod liver oil. Please keep in mind that I am not a veterinarian and that you should always consult with your veterinarian of choice before using any of the following information. The author of the Fearless Eating blog feeds his dog Dr. Ian Billinghurst’s recommended dose of fermented cod liver oil, which is an amount between 20 and 40 IU per pound. He does this a couple of times a week though, instead of daily. Please keep in mind that you should always provide your pet with quality cod liver oil that ensures purity and that is minimally processed. Make sure the product does not say “molecularly distilled” because its beneficial compounds are destroyed in that process. Many pet owners vouch for a fermented cod liver oil for their dogs. Always verify with your veterinarian first to ensure that your pet is getting what it needs nutrition wise with its supplement program and diet. Why should I feed my dog cod liver oil? Cod liver oil provides many health benefits, including all of those related to the existence of Omega-3 fatty acids in their diet. It supports your pet’s overall health, including their skin, coat, bones, joints, heart, brain, kidneys, immune system, and much more. It also provides vitamin A and vitamin D, in the case that your pet has a deficiency in any of these two vitamins. Are there any side effects to feeding my dog cod liver oil? While there are some serious health concerns regarding cod liver oil supplementation, these are related to dosage. 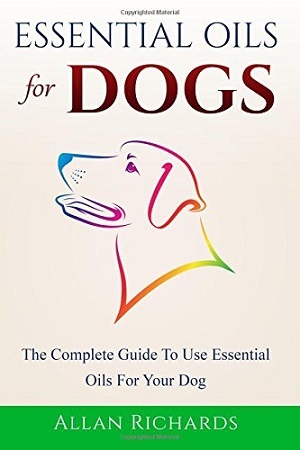 If you do not follow proper dosage instructions and pay attention to your pet’s responses, then you might be putting your pet at risk of a possible overdose, especially of vitamin A and vitamin D. If you’re careful with the amounts of cod liver oil that you’re feeding your dog, along with a careful understanding of the nutritional makeup of their diet, then you should have no problems whatsoever. Can give my puppy cod liver oil? Cod liver oil is generally administered to older dogs, especially dogs with nutrient deficiencies, mobility problems, sicknesses, etc. A regular fish oil is best recommended for puppies. Are cod liver oil supplements better than providing my dog real meat or fish? To find meat from grass-fed animals is not always an easy, nor a cost effective measure, especially if you have a big dog, or more than one dog. Some pet owners choose to supplement Omega-3 fatty acids with canned sardines or tuna. When different factors tie in such as price, availability, convenience and dog compatibility, supplementing your dog’s diet with cod liver oil is may or may not be the best choice. It’s best to always consult with your vet first. How do I use cod liver oil for my dog? Cod liver oil is meant to be taken orally. It’s mostly found in liquid form but capsules also exist. Keep in mind that salmon oil is very delicate on a molecular level. It must be kept away from heat and preferably in a dark container and in the refrigerator. Many pet owners opt for a fermented cod liver oil or one that is minimally processes. These will generally be in liquid form though. You can add this to their food or let your pet consume it directly. This will depend on your pet’s preferences. Although, if you mix it with their food, make sure your pet consumes it soon before the oil oxidizes and loses its beneficial properties. All products of cod liver oil must have the recommended dosage on its packaging. Make sure you consult with a veterinarian to determine the proper usage and dosage of the oil for your dog. Will cod liver oil make my dogs smell fishy? No. Your dog’s breath might smell fishy after consuming salmon oil, but this can be easily fixed by brushing their teeth or giving them a breath refreshing snack or treat. Can I give my dog cod liver oil only during winter months? Absolutely! The winter season is the time when you’re pet will receive the least amount of sunlight throughout the year, therefore needing more vitamin D. Cod liver oil is a great source of vitamin D and will also benefit your pet with its overall health. Make sure that their diet is compatible with the amount of vitamin D and A that your product has, and that you’ve established a proper dosage and application with your veterinarian. The use of cod liver oil to supplement dog’s diets is something that many pet owners have considered a success. Many report that not only does it improve their pet’s lifestyle and energy, but it also helps them live longer and fight many diseases. Cod liver oil’s inflammation reducing properties can do wonders on your dog’s health, along with all the other beneficial properties it contains. Omega-3 fatty acids are an important part of a dog’s diet, and whether you choose to feed your fish oil or cod liver oil, make sure that you’re giving your dog top quality and the appropriate amount. Be sensitive to your pet’s response to the oil or fish, to determine the best option for your canine. You need to be extra careful and vigilant of the amount of vitamins your dog’s diet provides before trying to administer cod liver oil. Under the proper dosage and administration, cod liver oil can be very beneficial to your pet and will lead to a happy life. Be sure to consult your dog’s vet to determine the frequency and dosage of cod liver oil appropriate for your dog, so you will no longer worry about any dangerous side effects.